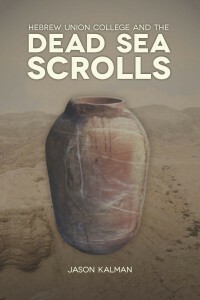 The bare outline of the story of the discovery of the Dead Sea Scrolls is well known, but the precise details are sometimes completely forgotten or misconstrued. The recovery of this history in all its complexity is vital for understanding how and why scholarly work on the Scrolls developed as it did over the six decades during which the texts were slowly published. Jason Kalman recovers the fascinating story of Hebrew Union College’s involvement with the Dead Sea Scrolls from their discovery in 1948 until the early 1990s when they were first made accessible to all scholars and to the public. The divine commandment to exterminate all the Amalekites—men, women, children, even animals who have no free will—is what in contemporary terms has been called nothing less than genocide. 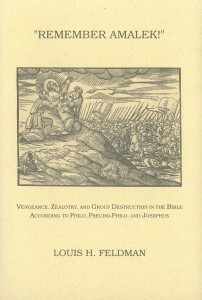 Louis Feldman helps us to understand how three ancient Jewish commentators on the Bible—Philo, Pseudo-Philo, and Josephus—wrestled with the issues involved in this divine imperative, especially its provision that an entire people must be punished for all time for the misdeeds of its ancestors. A work entitled the “Book of Giants” figures in every list of the Manichaean canon preserved from antiquity. Both the nature of this work and the intellectual baggage of the third-century Persian prophet to whom it is ascribed remained unknown to scholars until 1943. 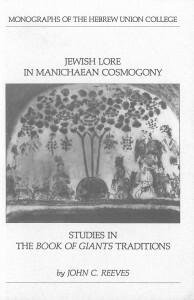 Discovery of a fragmentary Aramaic version at Qumran enables John C. Reeves to connect the dots and demonstrate that the motifs of Jewish Enochic literature, in particular those of the story of the Watchers and Giants, form the skeletal structure of Mani’s cosmological teachings, and that Chapters 1 to 11 of Genesis fertilized Near Eastern thought, even to the borders of India and China.